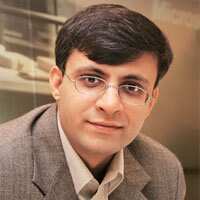 Moving ahead: Microsoft India’s Sumeet Gungnani. Microsoft Corp., the world’s largest software company, aims to more than double its share in India of so-called smart phones running on its Windows Mobile software to over 200,000 by June 2008, as more makes of such phones such as Palm Inc.’s Treo and iPaq from Hewlett-Packard Co. (HP) bundle the software on their offerings. The market for smart phones in India stands at around 3.7 million units—less than one tenth of the phones sold in the country—and is expected to climb to 9.2 million, valued at $2.7 billion (Rs10,746 crore) by 2011, estimates IDC Research Inc.
Microsoft, which launched Windows Mobile software for smart phones in June 2006, is now bundling its software with six of the leading handset makers including iMate, Palm, HP and Motorola Inc. “There are around 35 smart phone models from six manufacturers available on Windows Mobile," said Sumeet Gungnani, director, mobile business communication, Microsoft India. “Our top competitor is Blackberry, which is losing market share." Windows-based smart phones are yet to find significant demand in India, despite efforts by leading players such as iMate and Dopod, with just around 1% share of the market among smart phones against an estimated 3% market share globally. Most of the market vests with Symbian-based phones from Nokia and Sony Ericsson. In September last year, IDC predicted that Windows Mobile would capture about one-third of the global market—equivalent to 21 million units—among business users of smart phones by 2010. Companies such as Palm, which is selling its Treo 750 range of smart phones in India exclusively with Windows Mobile, are now riding the momentum generated by Microsoft. “Palm has adopted the dual platform strategy because Windows Mobile is the fastest growing platform," said Gungnani. Most smart phone users are familiar with Microsoft’s desktop applications such as its MS Office suite, which helps the company woo these users to its mobile platform. “Windows Mobile is run best on Palm," said Sharon Ee, head of business for Palm in South Asia, who launched the Treo 750 in New Delhi on Tuesday, together with Bharti Airtel Ltd, India’s top mobile phone services firm. Bharti will sell the phone for Rs26,990 in New Delhi, Mumbai, Chennai, Kolkata, Bangalore and five other Indian cities.